Music speaks to many of us in a universal language we call can understand. Its timeless qualities bring enjoyment to generation after generation. 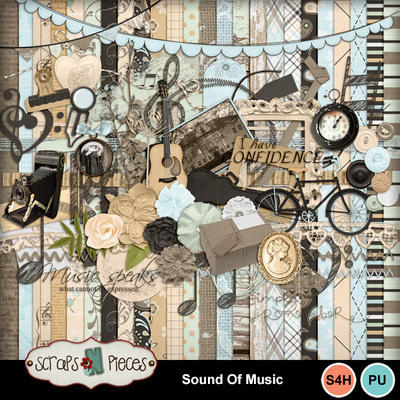 The Sound of Music brings this timeless quality to your scrapbook pages. This vintage-inspired collaboration draws on a rich history and subdued color palette to complement modern and heirloom photos alike. 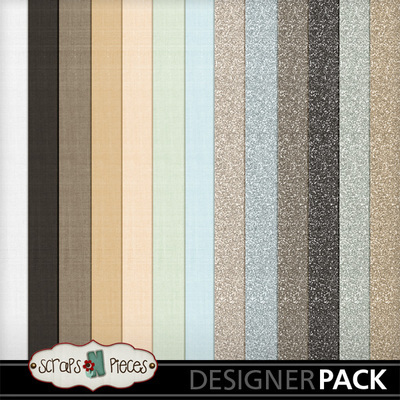 Gentle creams, browns, peaches, and a pale blue snuggle cozily with faded black and metal tones to form the perfect harmony. 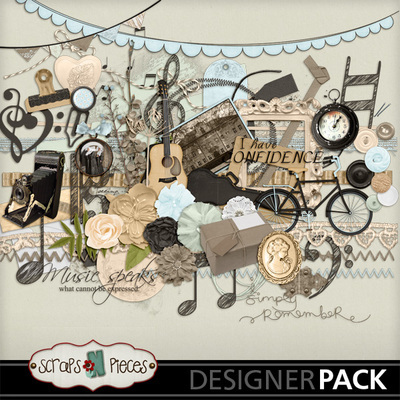 Featured elements include musical notes and instruments galore, ephemera, sheet music, flowers and lace, and a gold wire alpha. 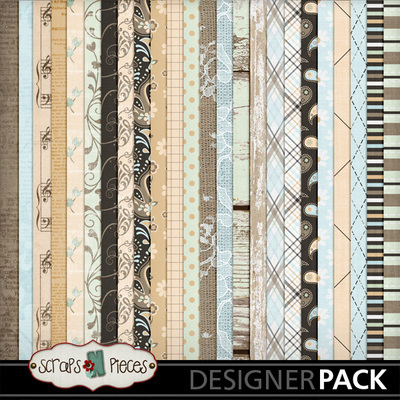 Complementary patterned papers and two delicate templates echo this timeless feel. 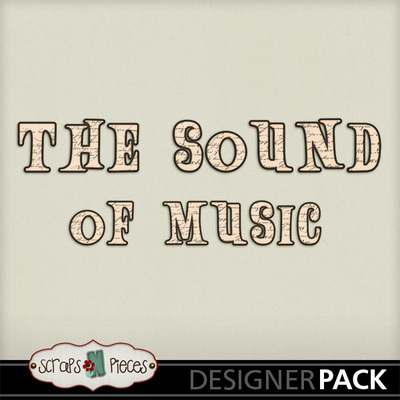 The Sound of Music also comes with an element pack perfectly themed to the musical of the same name. Whether you're singing about your favorite things or enjoying the sounds of a symphony, scrap your stories with The Sound of Music.